Details Ultramarine Blue is a synthetic inorganic blue pigment consisting of a double silicate of aluminum and sodium with sulfide and occurs in nature as a component of the semi-precious stone, lapis lazuli. In 1814, Tassaert observed the spontaneous formation of a blue compound, very similar to ultramarine, if not identical with it, in a lime kiln at St. Gobain, which caused the Societé pour l'Encouragement d'Industrie to offer, in 1824, a prize for the artificial production of the color. 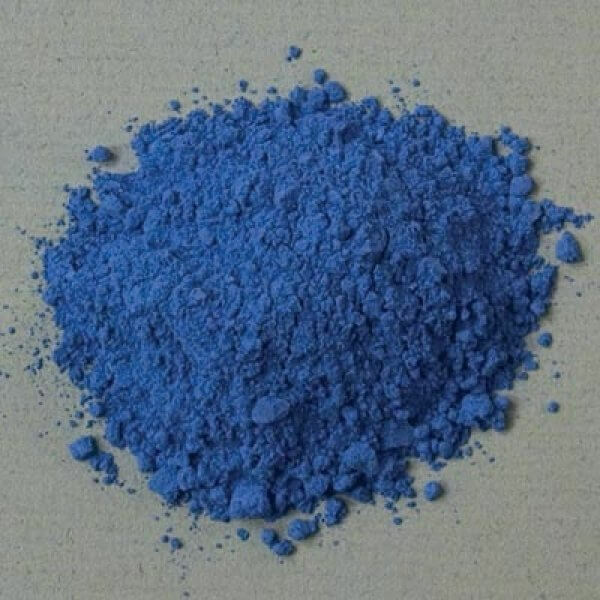 Processes tomake the artificial pigment were devised by Jean Baptiste Guimet (1826) and by Christian Gmelin (1828); but while Guimet kept his process a secret, Gmelin published his and thus became the founder of the "artificial ultramarine" industry. Ultramarine is a blue pigment consisting of a double silicate of aluminum and sodium with sulfide and occurring in nature as a component of lapis lazuli. The Colour Index designation is Pigment Blue 29 and Colour Index number is 77007. Ultramarine is one of the most complex mineral pigments, a sulfur-containing compound of sodium-silicate, essentially a mineralized limestone containing a blue cubic mineral called lazurite (the major component of lapis lazuli). The term ultramarine designates both the natural mineral and the artificial pigment, although today most distinguish the natural mineral by its name lazurite or the rock containing it, lapis lazuli. Ultramarine is a synthetic blue pigment that is rated by the American Society of Testing and Materials (ASTM International) as lightfastness category I, which is the highest lightfastness. It is compatible with all pigments, but is sensitive to acids, so avoid using it with acidic mediums and supports. Ultramarine blue absorb a medium amount of oil (38 to 42 grams per 100 grams of pigment), which may slow the drying of oil paint and hence is a moderate drying oil color. It is highly refractive pigment and is difficult to grind in oil, although it easily disperses in water. 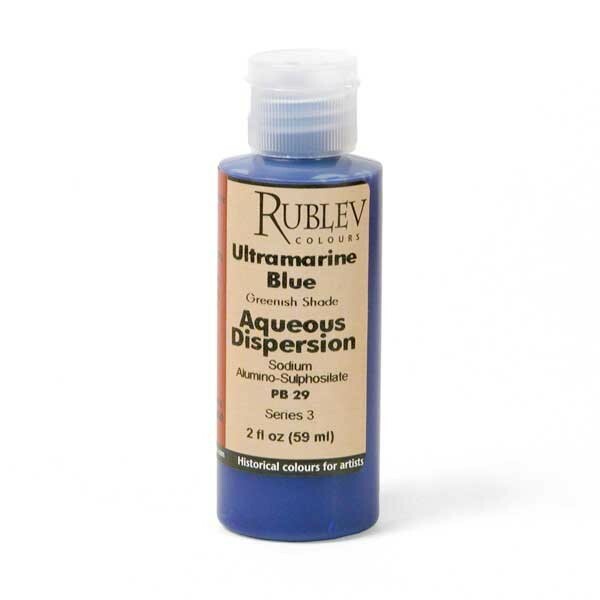 Ultramarine blue is not considered toxic, but care should be used in handling the pigment.